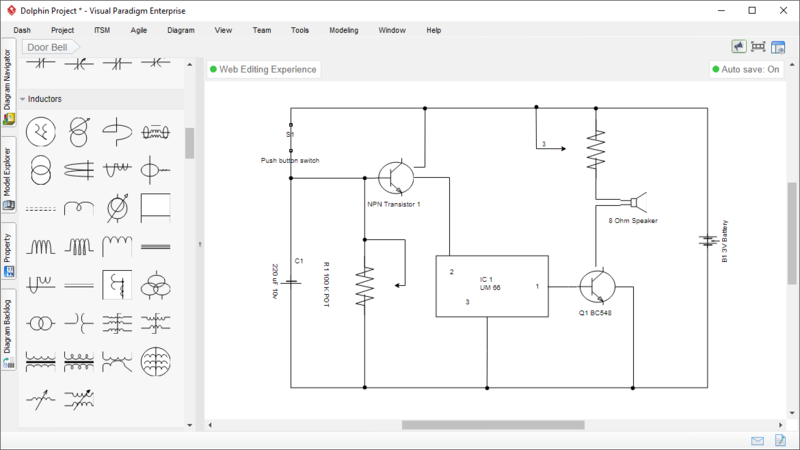 Visual Paradigm circuit diagram tool offers a wide variety of features to help you create circuit diagram swiftly. Cut down hours of time with drag-and-drop shape creation. 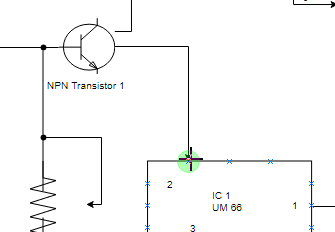 Get beautiful circuit diagram with the help of shape alignment guide. 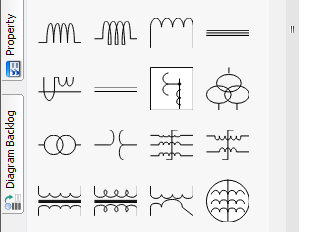 Express ideas thoroughly with our rich set of beautifully designed circuit symbols. 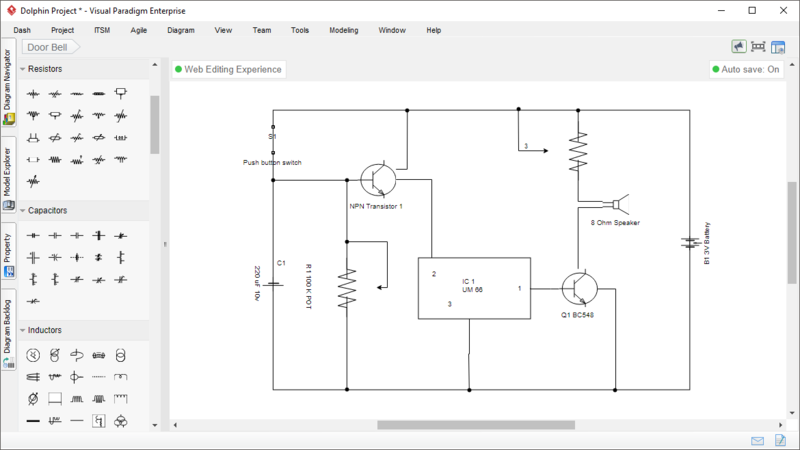 Without a doubt, Visual Paradigm is the best circuit diagram software. A rich collection of consistent and high-quality circuit diagram symbols is available for you to create beautiful circuit diagram for any purposes. 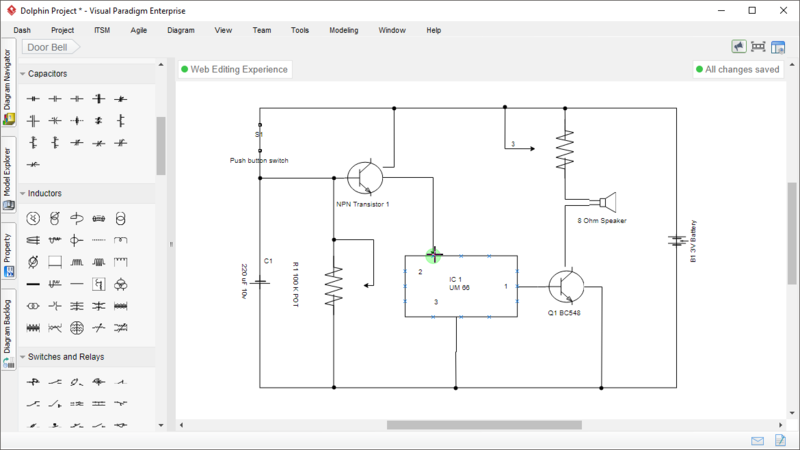 Create circuit diagram easily by dragging and dropping the circuit diagram symbols, arranging and connecting them. 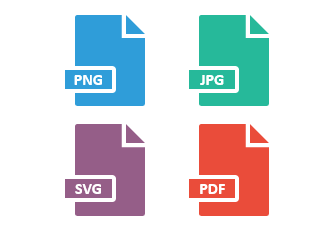 Our circuit diagram editor is great for communication because you can easily print and share your work via a wide range of output formats: PDF, PNG, JPG, etc.